Philip the Apostle was scourged, thrown into prison and crucified in c. 54 in Hieropolis (Turkey). The Apostle Matthew, author of the Gospel of Matthew, was killed by a sword while he was preaching in Ethiopia in c. 60. 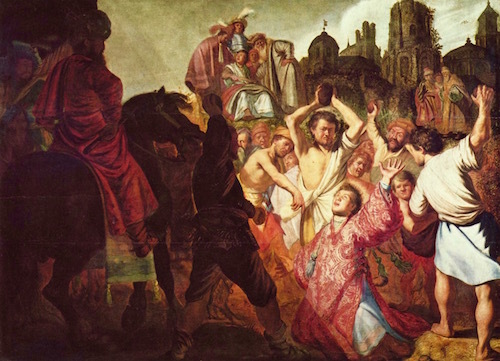 James the Just, the Jew Jesus’ brother, was thrown from a parapet in Jerusalem and then clubbed to death in c. 62. 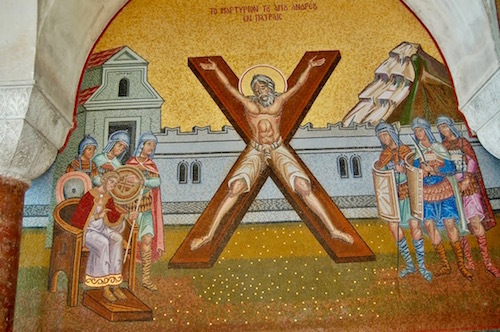 In c. 62 the Apostle Andrew, Peter’s brother, was crucified in Edessa (Turkey) on a cross with two ends affixed to the ground (called the St. Andrew’s Cross). 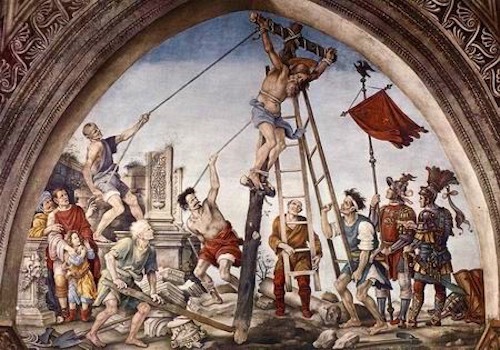 During the persecution of Christians in Rome under Nero in c. 64-67, the Jewish Apostle Peter was crucified upside down and the Jewish Paul, the Apostle to the Gentiles, was beheaded. 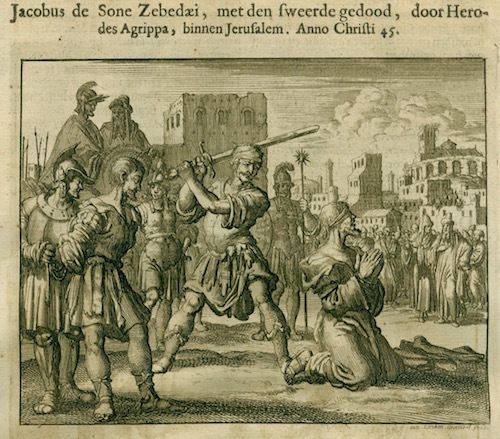 Mark, Peter’s amanuensis and author of the Gospel of Mark, was dragged to pieces in Alexandria (c. 68). 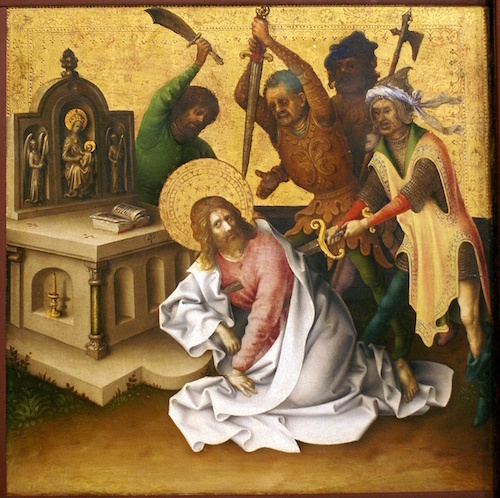 Matthias, chosen to replace Judas as the twelfth Apostle, was stoned and then beheaded in Jerusalem. The Apostles Jude aka Thaddeus and Simon the Zealot were both crucified in c. 72, Jude in Edessa, Simon in Britain. 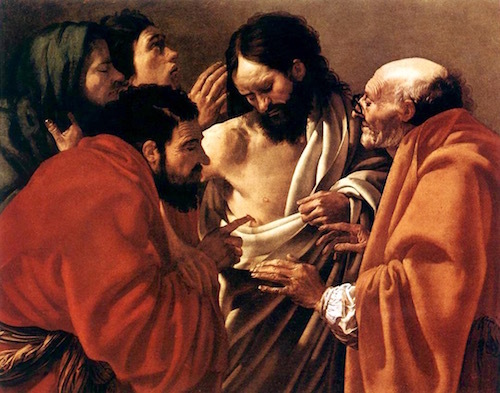 Doubting Thomas. who doubted Jesus’ Resurrection, went all the way to India to preach the Gospel. He was martyred there in c. 72. 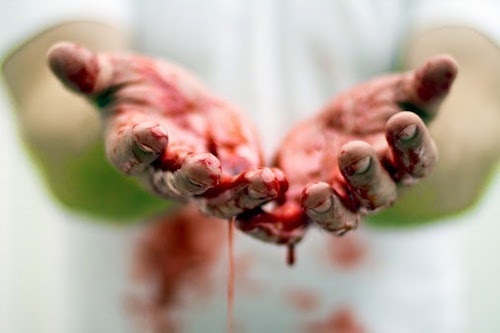 Thomas’ fellow Apostle known as Nathaniel in the East and Bartholomew in Judea was skinned alive in India (or Armenia) at about the same time. Behind the altar of the Sistine Chapel in Rome is a massive fresco called The Last Judgment depicting the Biblical Day of Judgment of all souls. St. Bartholomew is painted displaying the empty envelope of his flayed skin in his left hand. 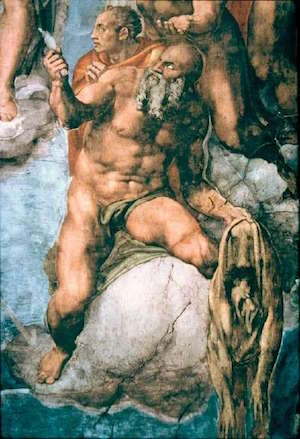 The distorted, tortured face on the limp skin is supposedly the face of the painter Michelangelo (left).